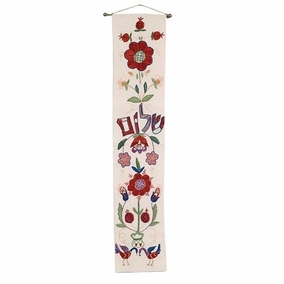 Hand Embroidered Shalom Wall Hanging CAT# WLE- 1. 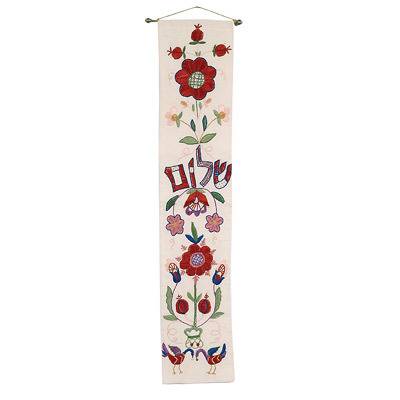 Chain - stitched hand - embroidery on raw cotton using various colors of silk, gold and silver threads. Size: 8" x 41".